The Presidents of Tanzania and Uganda, Hon. John Magufuli and Hon. Yoweri Museveni, signed a communiqué (declaration) for the implementation of the crude oil pipeline project from Hoima in Uganda to Tanga in Tanzania, at the State House in Dar es Salaam on 21st May 2017. Leaders of both countries, including Ministers, Permanent Secretaries, Government lawyers, directors and officials of the various institutions involved in the project, attended the signing ceremony. Following the signing of the declaration, experts will prepare a Inter-Governmental Agreement (IGA) for the project, which is scheduled to be drafted within one week. 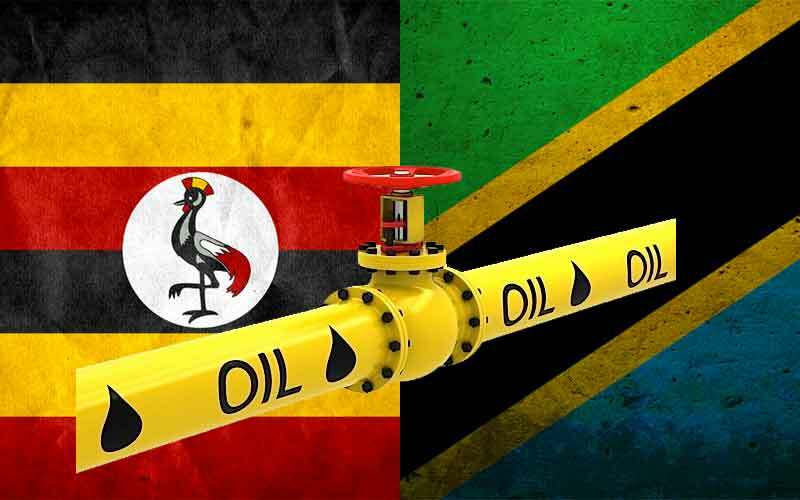 The crude oil pipeline will have a total length 1,443 km of which 1,115 km in Tanzania and will be able to transport 200,000 oil barrels per day. The project is estimated at USD 3.55 billion and is expected to generate between 6,000 and 10,000 employments. Speaking after signing the declaration, President Magufuli thanked President Museveni, stating that the project is the result of the historical friendship and brotherhood between Tanzania and Uganda. President Magufuli also stresses that the project will be of great benefit to Uganda, Tanzania, East Africa and Africa as a whole. For his part, President Museveni congratulated President Magufuli and his government for the efforts made to achieve this project and reminded that thanks to the new pipeline, airlines will receive cheaper oil thus sustaining commercial growth. Between 2.5bn to 3.5 billion barrels or recoverable oil have been discovered in Lake Albert and on the shores of the lake in Hoima District in Uganda. Overall, proven oil reserves are estimated in excess of 6.5bn barrels. Uganda previously agreed to build a joint Uganda–Kenya Crude Oil Pipeline to the Kenyan port of Lamu. However, due to security and cost concerns, a shorter and safer pipeline route to the port of Tanga in Tanzania was then chosen.